This is Moving. Official Blog: New Look! August 15th, 2013 | Bekins Happenings. In an effort to make Bekins’ official blog a more user-friendly experience, some important and helpful changes have been made to This is Moving. Because these changes might not be obvious to the unsuspecting eye, it’s worthwhile to take the time to explain these new features and how they benefit you as the reader. These tabs are meant to better organize the content that is constantly being published on the blog. On the home page, you’ll find what you’ve always found and have come to love on the official blog: helpful moving tips, information about services provided by Bekins, and any newsworthy tidbits about the moving industry. The ‘Inside Bekins’ tab is the newest component to the blog and what we’re most excited about. This newest tab is your go-to for information not directly related to the moving industry. You’ll find editorials on cities to travel to, information about interior decorating, guest blogs from other Bekins employees, and much, much more. Be sure to visit often – the information will be updated frequently. 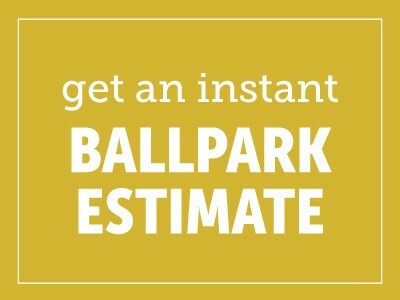 The last change on the blog is the addition of the Ballpark Estimate tool. This handy tool gives you the ability to receive a rough cost estimate on how much your interstate move (a move that crosses state lines) could cost. It will also allow you to be connected to a Bekins representative who is able to answer all of your moving-related questions. Be sure to check back often. The content is changed several times a week – both with information about moving and other fun articles. Have you checked out our Sunday Spotlights? How about This Is Moving: America? You can find all of these stories and more in the ‘Inside Bekins’ tab.